The Mass Effect 3 was released in 2012 and it was a science fiction video game which was liked too much by the video game lovers. A character of video game has worn N7 Jacket and looked very nice and adventurous. The black magical shade of the outerwear has grasped the attention of the viewers. The sheepskin leather is used in the manufacturing of the N7 Jacket. The front zipper closure is given for your easy wearing. The simple style of the jacket attracts everyone. 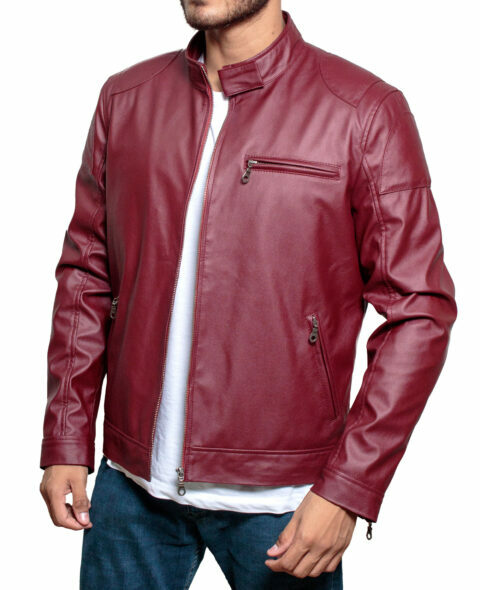 You will also found maroon stripe on the front and sleeves of the N7 Leather Jacket. The embroidery N7 logo is also present on the outerwear. The video game is just like a movie and the characters of the video game look real and alluring because of the N7 Leather Jacket. Two side pockets are given in the jacket. The buttoned cuffs look nice and form smarter appearance. The detail stitching is of the best quality.